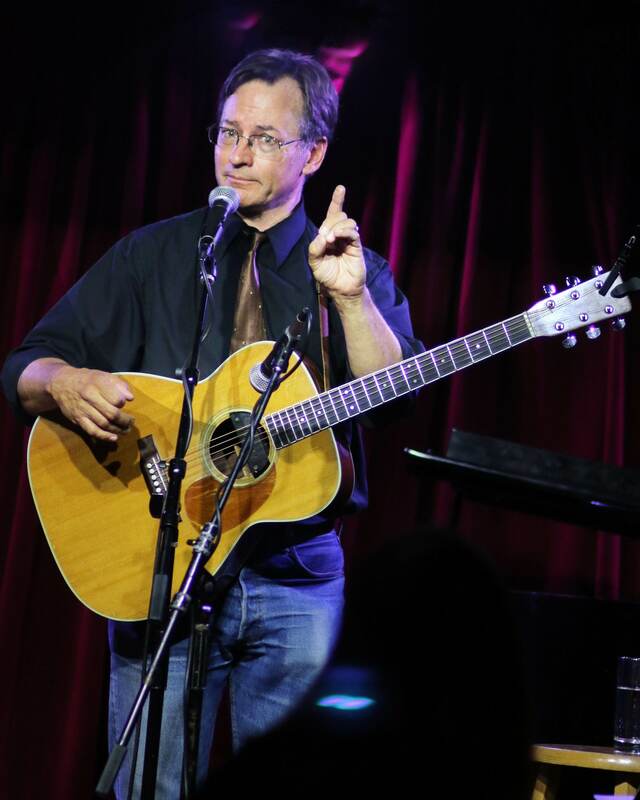 Thanks to the Humanist Association of the Greater Sacramento Area (HAGSA), local humanists and their friends were treated Thursday evening to ninety minutes of original songs by satirical singer-songwriter and guitarist Roy Zimmerman. The concert, titled RiZe Up, was a forceful and funny affirmation of Peace and Social Justice. Roy has been heard on HBO and Showtime. His videos have garnered tens of millions of views. He has recorded for Warner/Reprise Records and shared stages with Bill Maher, Ellen DeGeneres, Holly Near, Robin Williams, Arlo Guthrie, John Oliver, Kate Clinton and George Carlin. Roy tours the country constantly with his wife and co-writer Melanie Harby. “Sometimes I think satire is the most hopeful and heartfelt form of expression,” says Roy, “because in calling out the world’s absurdities and laughing in their face, I’m affirming the real possibility for change.” Racism, gun violence, climate change denial, income inequality, bigotry, arrogant ignorance, war and greed seem all the more nonsensical when examined through Roy’s songs. The concert’s title, Rize Up, is also the title of Roy’s album which is scheduled to ship in early September. You can join Roy in bringing laughter and encouragement to the Resistance by pre-ordering the album here.